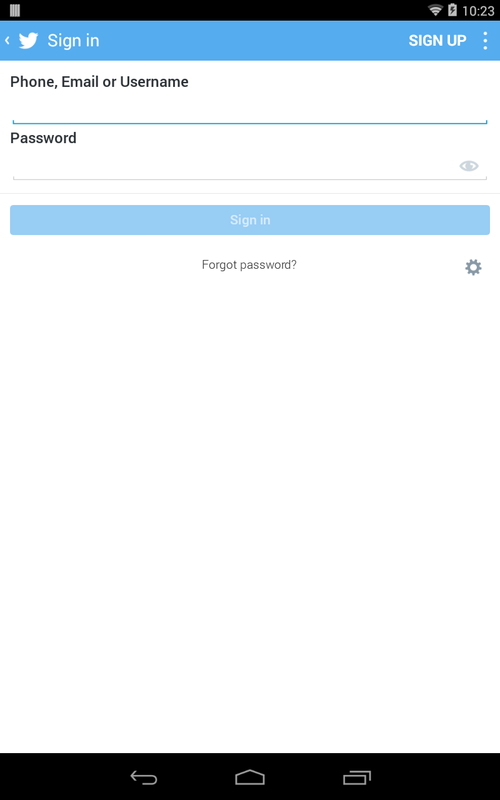 I want to open my app from an email URL, basically like the example shown below for Twitter.com. If anyone has a proper answer, please write some examples here. 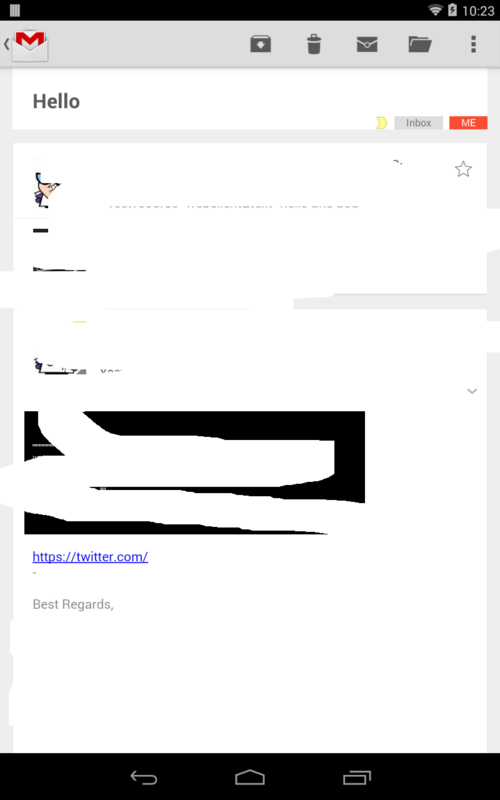 With the email link set as http://www.my.app.com/launch. Just go through this Deeplinking google document. You will come to know about this deep linking concept. I hope this will help some body. For me, none of the answers posted here worked. I tried tens of different syntaxes without any success. I was getting a parsing error while building the app via Cordova. I finally encountered this answered which led me on the right track. This finally worked. No modification to config.xml is required if you take the hook path. I hope this helps someone in need. PS: I am convinced Cordova is a great technology, but I have rarely seen such a badly documented library... How painful it is to work with it is just unbelievable. Not the answer you're looking for? 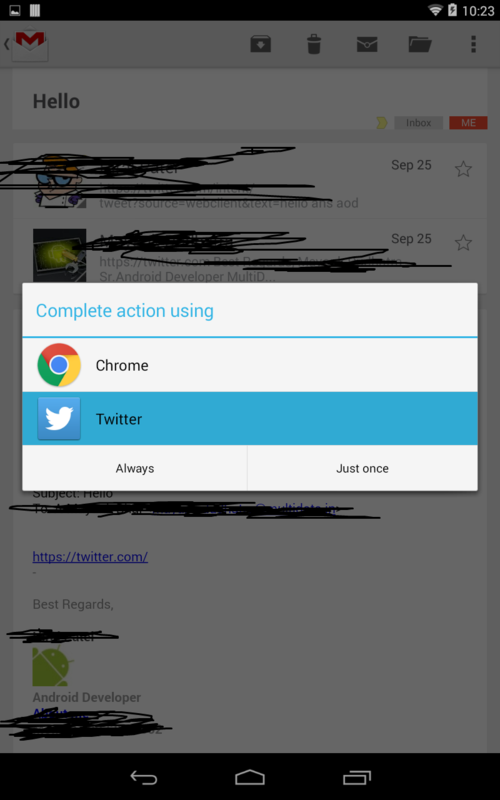 Browse other questions tagged android email url twitter html-email or ask your own question.